The Refa includes active signal shielding technology for clean signals and data free of mains interference and cable movement artifacts. It does not include hardware filters (other than anti-aliasing) so the raw data is always available. The ExG inputs are configured as a reference amplifier: all channels are amplified against the average of all connected inputs. The ExG inputs can be used for meaureing EEG (32, 64 or even 128 channels) or HD EMG. The BIP inputs are used to measure additional signals like EEG, EMG, ECG, EOG. The AUX inputs can be used for measuring sensor signals like temperature, respiration, movement, force, angle, etc. Each of these channels has a +5 V and -5 V supply in order to accommodate active sensors or sensor modules. 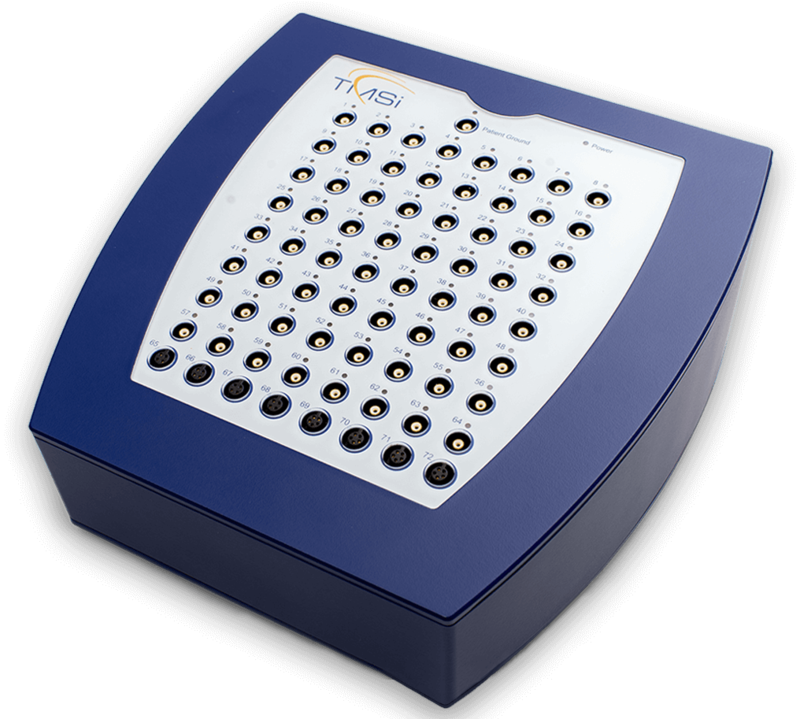 The Refa system can be delivered with 40, 72 or 136 channels. It is also possible to cascade two Refa's, resulting in a total channel count of 272 channels. The Refa is delivered including an external power supply which plugs into the mains socket. The Refa is connected to a PC by means of a bi-directional optical fiber. These patient leads are compatible with the unipolar inputs of the REFA.